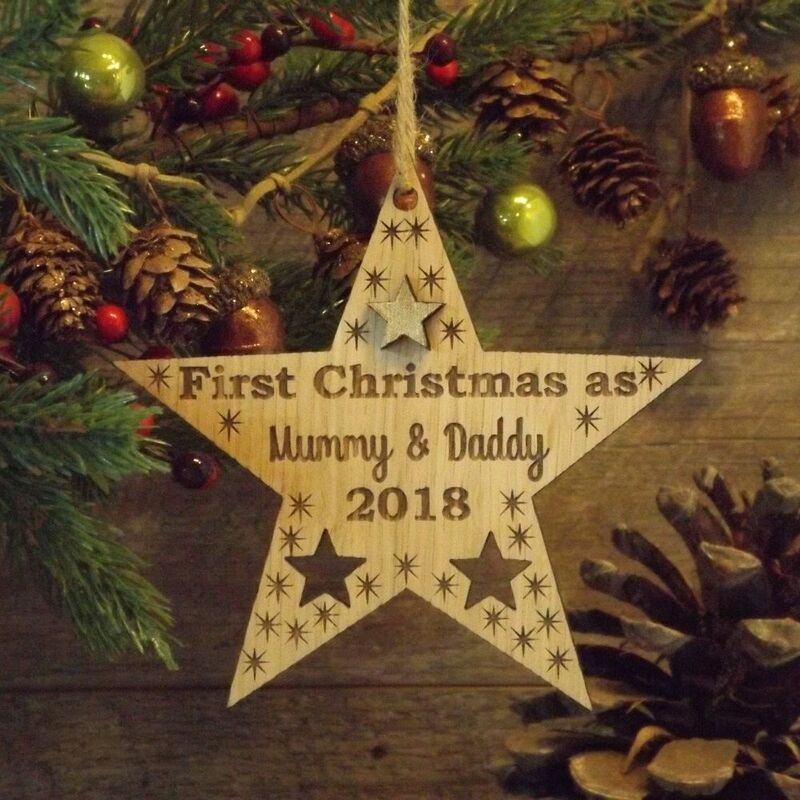 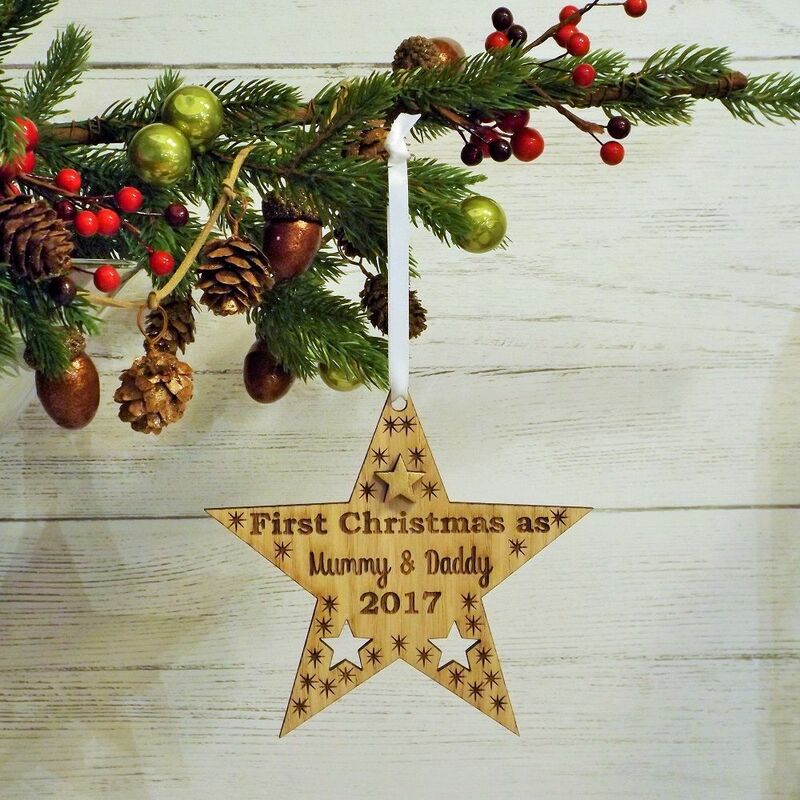 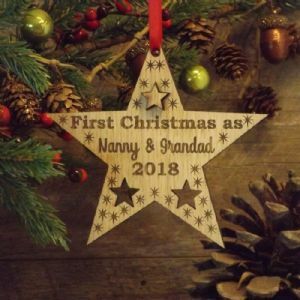 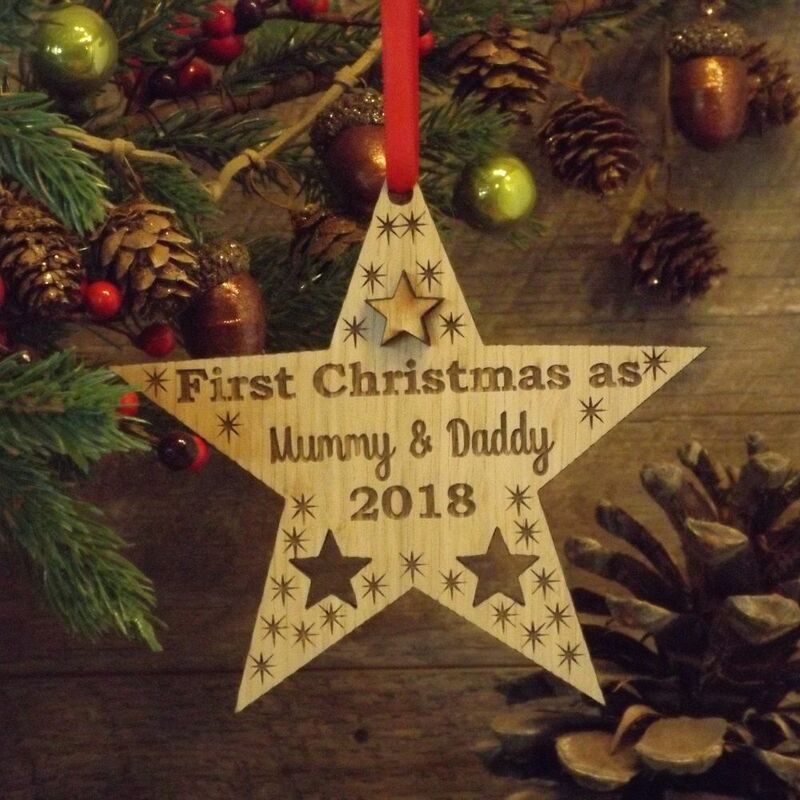 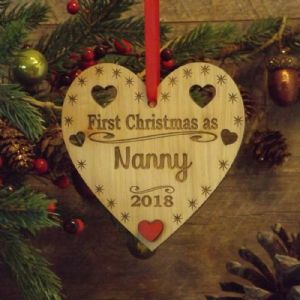 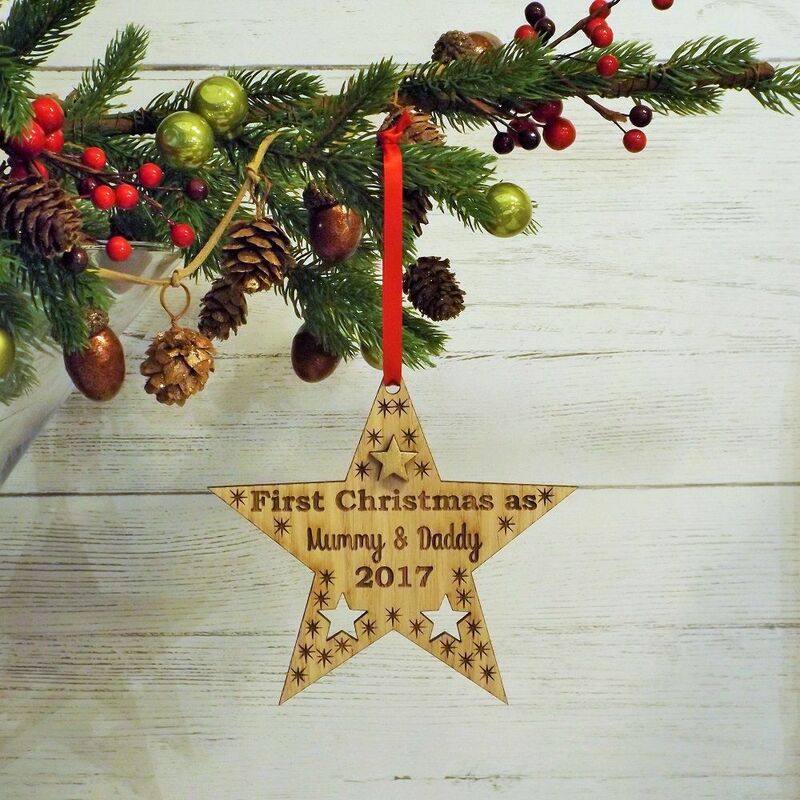 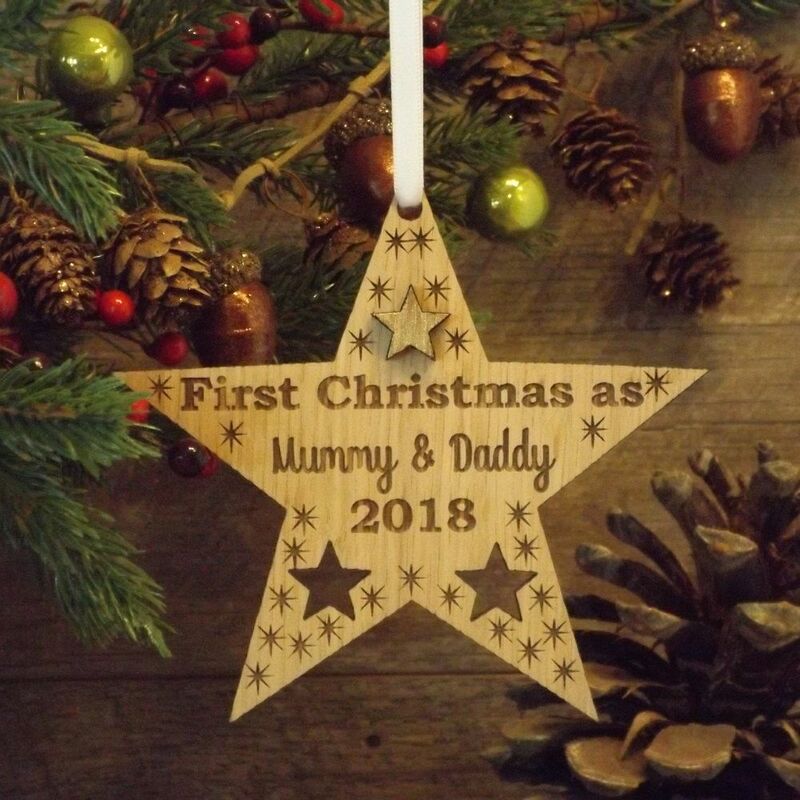 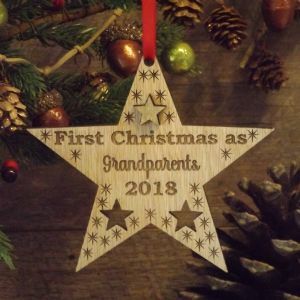 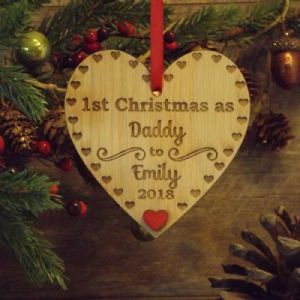 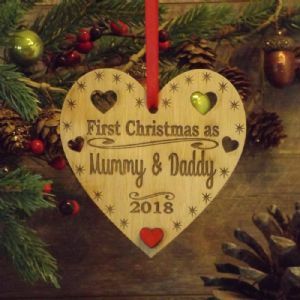 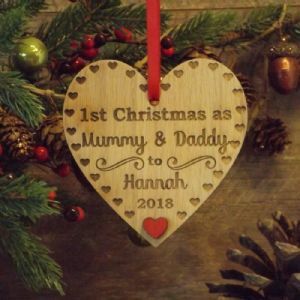 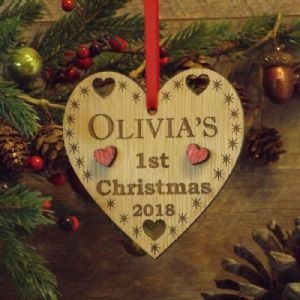 Our beautiful rustic wooden star decoration features the wording 'First Christmas as Mummy & Daddy' and can be personalised with the year of the first Christmas. 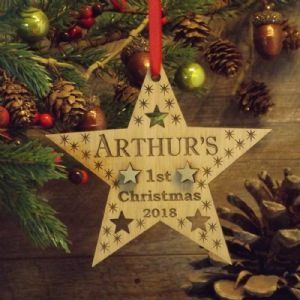 Made from oak veneered wood the star features a pretty design with two cut-out stars and a raised handpainted gold star embellishment at the top. 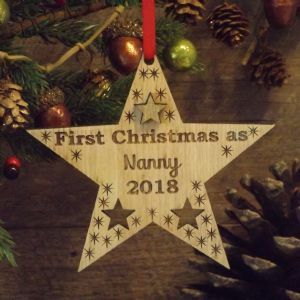 The star measures 12.7cm x 12cm at widest points, excluding ribbon/twine.